Hemorrhagic disease of the newborn, also referred to as vitamin K deficiency bleeding (VKDB), is a totally preventable, potentially deadly condition that most of us pediatricians don’t give much thought. However, internet bloggers have once again apparently have made pediatricians unwitting victims of our success with the standard use of intramuscular (IM) vitamin K prophylaxis in every newborn since 1961 (Figure 1). That is more than 50 years of routine use in every newborn nursery, adding up to nearly 200 million doses in the United States alone. And for newborns, vitamin K delivered intramuscularly has shown almost no known adverse effects except possibly a total of seven dermatologic reactions.1 The only reported serious adverse effect I could find in the literature happened not in the United States, but in a newborn in Turkey only a few months ago.2 This was a single case of potentially severe anaphylaxis reaction from a dose given at birth. This is the only English-language report in any of the reputable medical literature that I could find, despite administration of probably more than a billion newborn IM doses. If this one in a billion occurrence should ever happen again, then what better place for it to happen than in the presence of a trained physician and at least two nurses? Since 1961, vitamin K for intramuscular injection into the newborn immediately at birth has been a standard of care. Is it a villian or miraculous godsend which saves countless lives and brains? Images courtesy of Stan L. Block, MD, FAAP. I think that because the internet bloggers and parents posting in chat rooms may not have seen severe VKDB themselves, they have assumed cavalierly that severe VKDB must no longer exist. They are dead wrong, and they are gambling with some infants’ brains and lives in a dangerous game of intracranial roulette. No matter how much they want it to be true, VKDB is not a myth concocted by the medical establishment, which is a falsehood these bloggers try to perpetuate. For those young scientists and naive parents who claim that VKBD is a myth, I say not so fast. For example, we need only to look at four babies in Tennessee whose mothers declined vitamin K to see that the threat of devastating VKDB still lurks, as reported in the November 15, 2013, issue of Morbidity and Mortality Weekly Report.3 Three of these babies potentially had life-threatening blood clots evacuated from their cranium and will likely suffer from some form of permanent neurological damage. And why did this happen? Let’s explore how something so tragic and preventable could still happen in these days of modern medicine. It must be remembered that VKDB is not caused by a lack of available medical care, but instead by a conscious parental decision to refuse customary known optimal care. One of my older partners recently stormed into the office, notably upset about his current trip to our newborn nursery. The parents of a 12-hour-old newborn had just informed him that they were declining all “extraneous” medical interventions for their newborn boy. They desired that no “unnatural” substances be given to their newborn, and that their baby not be “unnecessarily disturbed or poked.” This included A) two state-mandated therapies: newborn metabolic screening (Figure 2) and prophylactic eye ointment (Figure 3); and B) two highly recommended prophylactic therapies: hepatitis B vaccination (Figure 4) and, for the first time in our experience, vitamin K1 injection (Figures 1 and 5). 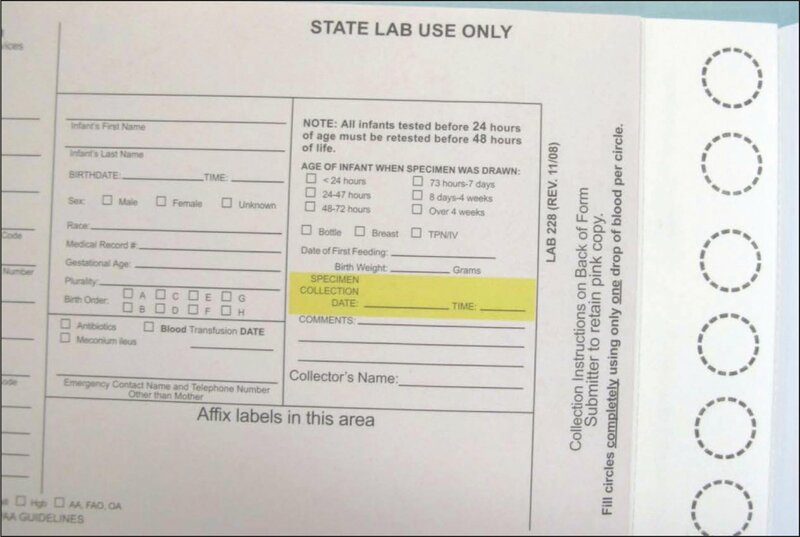 Most states mandate that a heel stick blood specimen be routinely collected during the first 48 hours from all healthy infants to assess for numerous metabolic and genetic disorders, many of which are deadly or devastating if not detected early. Recently, some parents have begun declining this otherwise innocuous newborn screening due to purported psycho-emotional damage of a heel stick to the newborn. 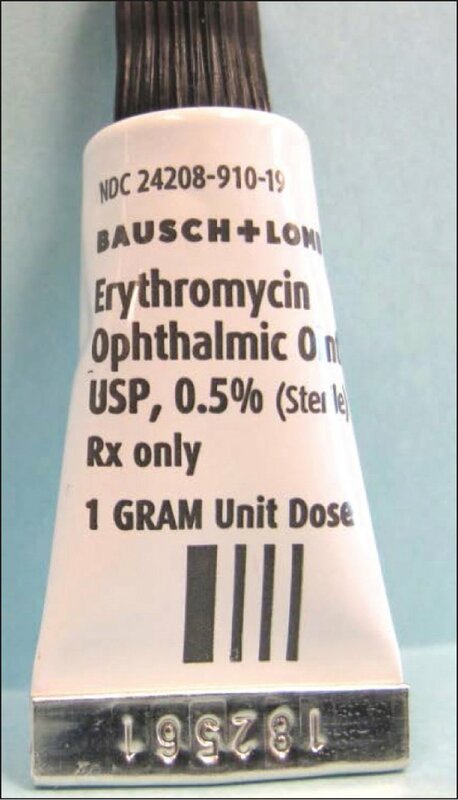 Erythromycin topical ophthalmic ointment for instillation into the conjuctival sac immediately at birth to prevent gonococcal conjunctival infection is routine practice. It does not prevent Chlamydia trachomatis infection. Although entirely innocuous, many families are opting to forego this procedure, which is not only recommended but mandated by most state laws. A 1-cc syringe with a 27-mm needle. Is this an instrument for life-saving medications or a purported major cause of permanent emotional and psychological trouble in the immediate newborn period? These last two objections were a first for our practice, and thus inspired us to perform further research into the recent voicing of these objections. With 17 key strokes in an internet search engine, we had our answer. The very first “hit” with a single search on Google under “newborn vitamin K” led us immediately to one source of such inspirations of medical paranoia about routine newborn care: Joseph Mercola, DO, and his website ( http://www.mercola.com). Why is there such pervasive parental anxiety about an “act of commission” or doing something preventively, no matter how bad the disease that this “something,” prevents and how well-known the safety of this “something” is documented? This is diametrically opposed to an “act of omission,” or merely passively letting mother nature wreak havoc by our doing nothing. Then, if the rare bad thing actually happens to our child, it would not be our fault, even though medical advances, such as vitamin K injection, could have prevented it. Have we as a society become that distrusting of our medical scientific methods and of our pediatricians that we would rather trust the unsubstantiated unscientific innuendos and claims of a single person or group of naysayers? I think that most pediatricians would welcome an open-minded question from the parents and a chance to explain the science and to provide credible internet sites, rather than dooming a baby to potentially devastating, substandard care. Early-onset hemorrhagic disease (within the first 24 hours), which is usually associated with cephalohematoma, gastrointestinal bleeding, or intracranial bleeding, such as subarachnoid bleeding that we have all seen. Breast-feeding is a major risk factor for both classic and late VKDB. Other risk factors for late VKDB include malabsorption syndromes, such as celiac disease and cystic fibrosis, and liver diseases, such as biliary atresia and alpha-1 antitrypsin deficiency. Also note that late VKDB mostly occurs in breast-fed infants who are healthy. Who are the parents most likely to decline the birth dose of vitamin K? The breast-feeding mother, whose infant remains highly deficient in vitamin K for a month or longer. Due to vitamin K’s critical role in clotting factor production, vitamin K deficiency, particularly during the newborn period, can lead to significant hemorrhage and bleeding into the internal organs and brain. Vitamin K concentrations in the newborn are precariously low in the first week of the infant’s life, almost regardless of how much vitamin K the mother ingests during the pregnancy. Trans-placental transfer of vitamin K is minimal.3,8 The newborn infant’s liver is also too immature to efficiently use vitamin K.7 In the breast-fed infant, the normal gut bacteria that convert vitamin K into its active form are not available until several weeks of life. Newborns also do not have any vitamin K stored in the liver until age 2 to 3 months.4 Thus, only supplemental infant vitamin K can alter the young newborn’s levels of vitamin K.
Most experts think that increasing the maternal ingestion of vitamin K–rich foods will likely be insufficient for protection of the breast-feeding newborn.7,8 However, maternal supplementation with daily high doses of vitamin K (5 mg/day) for 12 weeks has been shown to increase breast milk concentrations from the usual 0.1 mg/dL to 4.5 to 6 mg/dL. No clinically important protection has ever been demonstrated with this approach. Furthermore, these breast milk concentrations are still much lower than the protective amount of vitamin K received with infant formula (50 mg/dL). Remember that formula-fed babies are at almost no risk for classic or late VDKB, and no toxicity from the higher levels of vitamin K in formula has ever been reported. That leaves us with one trusted means of protecting the breast-feeding newborn from devastating classic or late VKDB: infant supplementation. This can be readily accomplished via a single IM injection, or potentially by multiple oral doses. Oral ingestion, however, leaves us with several caveats. No approved oral formulation exists in the U.S., so multiple vials of the parenteral formulation must be ordered. This is expensive and can be challenging for some parents. Babies tend to spit out non-milk substances. Adherence to the four-dose schedule of oral vitamin K is only 93%.11 Thus, many babies will not be fully protected during their high-risk period. Also, two cases of VKDB were reported in children with alpha-1 antitrypsin deficiency treated orally.11 For example, in my practice, despite my strong recommendation at the hospital stay and at the first newborn office visit to administer daily vitamin D to the breast-feeding newborn, I still frequently encounter many mothers who have not initiated the vitamin D by 2 weeks. This is a scary thought if one imagines the omission were vitamin K instead. One study confirmed that among the different oral schedules for 1 mg of vitamin K prophylaxis in Australia, Germany, The Netherlands, and Switzerland, each was less effective than the single IM dose.8 Many countries have subsequently switched back to a policy of routine newborn IM vitamin K.
How Commonly Do Parents Decline Vitamin K? Some experts think that the rates of VKDB are grossly under-reported because it is always assumed that any young infant with gastrointestinal bleeding, or with a subdural or other brain bleed, who enters an emergency department or intensive care unit has received the birth dose of vitamin K. According to these recent data, we could be totally wrong. We have usually switched the breast-feeding infant to one of the casein hydrosylate formulas, and then noted remarkable amelioration of the hematochezia in the next few days to weeks. Perhaps recently, many of these infants had not received the birth dose of vitamin K, and their ingestion of the larger concentration of daily oral vitamin K manufactured into the formula was the cure instead. Are There Any Valid Concerns With Vitamin K Injection For The Newborn? Let’s explore the alleged issues with vitamin K injection of the newborn. According to the CDC’s report in 2013,3 three reasons were attributed to vitamin K refusal by parents. The first was that IM vitamin K doubles the risk for leukemia. This idea was first touted by Golding et al5 in a case-control study from Great Britain. For multiple reasons, including lack of plausibility and reproducibility, this theory has since been totally debunked. Even the website of Dr. Mercola has acknowledged this as pure mythology. And as for triggering leukemia, why would an IM injection be much different than oral ingestion of either small daily doses or weekly small boluses of vitamin K? Each method achieves some improved levels in the bloodstream. The second reason was that parents felt the injection was unnecessary. Thus, they allege that they were not made fully aware of the possibility of late VKDB by our ‘experts’ or by our website. Personally, I think that another part of their concerns may revolve around the list of adverse reactions in the package insert that says that “deaths have occurred.” However, families were unaware that these have never been reported in infants. Rather, they primarily occur extremely rarely in adults, and mostly with the intravenous form and not the IM form. Dr. Mercola, a mass marketer of multiple diverse, controversial, and unproven homeopathic products, does acknowledge the lack of any link between IM vitamin K and leukemia. He also acknowledges that vitamin K is essential to prevent VDKB. However, www.Mercola.com has three additional complaints about IM vitamin K. He argues that the multiple oral doses are better than a single IM dose, that a single shot will cause psycho-emotional problems in the newborn and may “jeopardize breastfeeding,” and that an IM injection within the hospital may create a site for infection. None of these claims are based on scientific data. He obviously dislikes the notion of any shots for the newborn (Figure 6). I agree that the avoidance of pain in any child or newborn is an admirable goal. But preventing all tears in a baby is just not practical for the routine care that is required. As anyone knows who works or lives with babies, babies will cry, and they will often act like babies. No matter how gently anyone tries, crying often also accompanies our newborn examination or care while trying to check their red reflex, hip dislocation, femoral pulses, posterior pharynx, temperature, or even when diapering, bathing, and unclothing them. Are babies really that fragile? 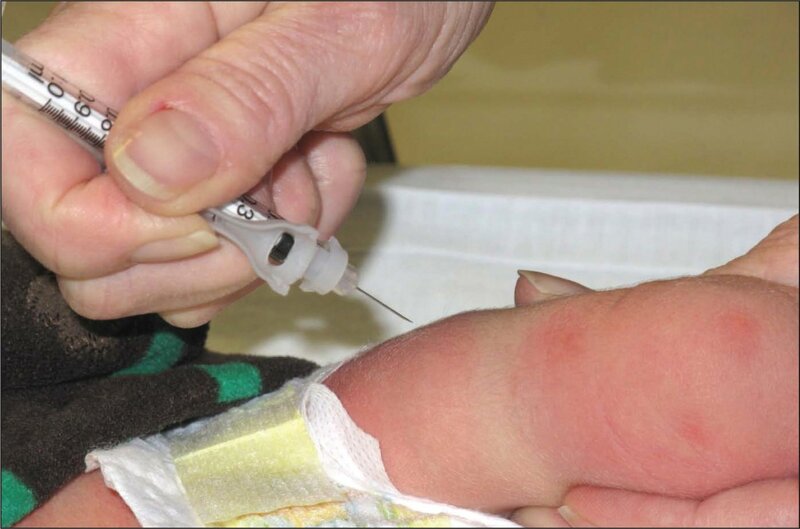 An infant receiving the newborn injection of vitamin K to prevent hemorrhagic disease of the newborn. Could this be a cause of permanent psycho-emotional damage? Yet, in our hospital, we actually do quite well without fussing or tears with the vitamin K injection during the “kangaroo care” time period. Sometimes, we even give the injection using the calming effects of the feeding itself to prevent any crying. To say that one or two shots or heel sticks (Figure 7) will cause permanent psycho-emotional trauma is perhaps ludicrous. This objection is not based on any credible science. Again, we are not talking about weeks or days of necessary heel sticks every 2 hours for glucose, blood gas, or bilirubin in a sick infant, which truly is a pain-management problem. 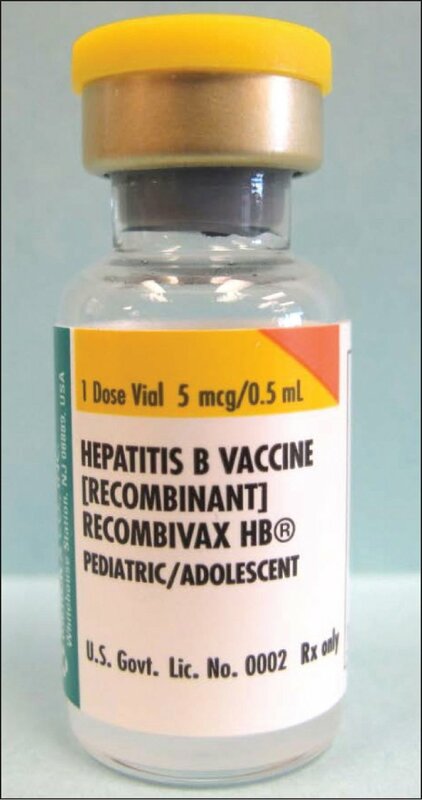 Recipient of a total of three tiny “sticks” during the first 48 hours of life, each of which is well-documented to prevent permanent liver damage from hepatitis B; prevent hemorrhagic disease of the newborn during the first 6 months of life, particularly for the breast-fed infant; and assess for numerous genetic and metabolic treatable disorders that could otherwise be deadly or devastating. Will the “sticks” into his skin and muscle themselves lead to purported long-term psycho-emotional damage? As for iatrogenic site infection being caused by a routinely and correctly done single IM injection into a newborn, no data support this allegation, either in the literature or in my daily practice of 31 years. Perhaps he is referring to an unrelated iatrogenic intravenous catheter site infection? To call an IM injection of morbidity-sparing or life-saving medications or immunizations “damaging” is inflammatory and has no merit. Back to our newborn case: We were finally able to convince the baby’s family that it was in the best interest of their child’s future health to at least proceed with the metabolic screening and prophylactic eye ointment. Sadly, we were unable to convince them to give their child the hepatitis B shot or the newborn vitamin K by injection or orally. I hope that their spin of the intracranial roulette wheel is a lucky one. They will be seeking their care outside of our practice. I continue to be amazed at how a single person or group with a medical or postgraduate degree, an internet site, and incredulous speculation(s) can totally undermine the standard of care and recommendations of an entire legion of medical experts and massive credible scientific data. Such is the power of the internet today. Stanford School of Medicine. Guidelines for Vitamin K Prophylaxis. Available at: http://newborns.stanford.edu/VitaminK.html. Accessed on January 23, 2014. Koklu E, Taskale T, Koklu S, Ariguloglu EA. 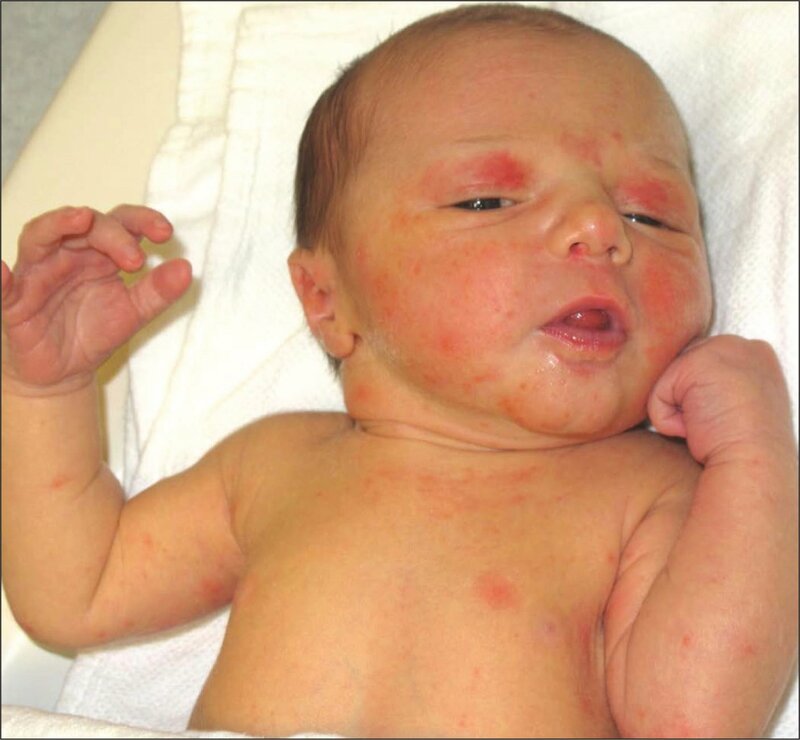 Anaphylactic shock due to vitamin K in a newborn and review of literature. J Maternal-Fetal Neonatal Med. doi:10.3109/14767058.2013.847425 [CrossRef]. Centers for Disease Control and Prevention (CDC). Notes from the field: late vitamin K deficiency bleeding in infants whose parents declined vitamin K prophylaxis--Tennessee, 2013. MMWR Morb Mortal Wkly Rep. 2013;62(45):901–902. American Academy of Pediatrics. Vitamin K Ad Hoc Task Force: Controversies concerning vitamin K and the newborn. Pediatrics. 1993;91(5):1001–1003. McKee-Garrett TM. Overview of the routine management of the healthy newborn infant. Available at: http://www.uptodate.com/contents/overview-of-the-routine-management-of-the-healthy-newborn-infant?source=search_result&search=vkdb&selectedTitle=2~8. Accessed January 27, 2014. Lawrence RA: Breastfeeding. 7th ed. Philadelphia: WB Saunders; 2011. Konakion MM package insert. Roche; 2004. Munz M. Four babies hemorrhage after parents refuse vitamin K shot, a practice on the. St. Louis Post-Dispatch December 8, 2013. Available at: http://www.stltoday.com/lifestyles/health-med-fit/health/four-babies-hemorrhage-after-parents-refuse-vitamin-k-shot-a/article_2f3f8317-6d00-5998-ad17-3e50cb21f254.html. Accessed January 23, 2014. Jardine DS. Relationship of benzyl alcohol to kernicterus, intraventricular hemorrhage, and mortality in preterm infants. Pediatrics. 1989;83(2):153–160. Vitamin K package insert. Hospira; 2004. Block SL. Taking a pass on alternative immunization schedules. Pediatr Ann. 2013;42(10):399–404. 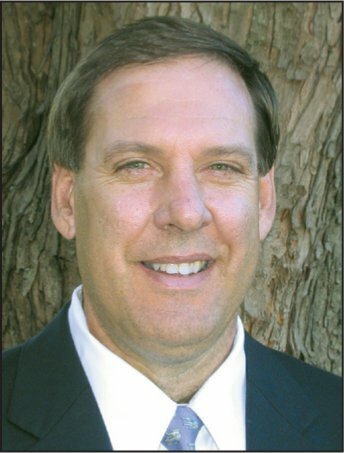 Stan L. Block, MD, FAAP, is Professor of Clinical Pediatrics, University of Louisville, and University of Kentucky, Lexington, KY; President, Kentucky Pediatric and Adult Research Inc.; and general pediatrician, Bardstown, KY.
Disclosure: Dr. Block has no relevant financial relationships to disclose.